A concentrated low foaming neutral cleaner to effectively penetrate and lift oils, grease, soap scums, soils and dirt. Designed for use through either high pressure cleaning equipment or manual application for the cleaning of the floors, walls, counters, equipment and other hard surfaces. Neutral also will not dull, haze, streak floors that are finished with high gloss acrylic finishes. When used on a daily or frequent floor care program, dirt and other soils are quickly removed. A powerful non butyl cleaner/degreaser which removes the toughest grease and grime. Removes grease, ink, crayon, pencil, lipstick, black heel marks, smoke film. greasy food soils, and other tough stains. This amazing cleaner can be used in almost any application on ant washable surface. Besides being extremely tough on grease and grime, it has been specially formulated to leave behind no sticky residues. A concentrated blend of enzymes and surfactants to help break down food, bacteria, and petroleum in food prep areas. This product can be applied before cleaning as a prespray or after cleaning to further remove the stains. Does not need to be activated or charged. The enzymes used will continue to break down the stains long after the cleaning is finished. Dilution: Recommended dilutions are 4oz per gallon for heavy duty cleaning and 2oz per gallon for lighter duty applications. A heavy duty environmentally formulated spray cleaner for removal of grease, heavy soils, dirt, ink, carbon soot and all stubborn soils. Works on all surfaces from painted walls to masonry, brick, ceramic tile and stainless steel. Just spray and wipe to remove all soils. For mild cleaning spray may be diluted with water. Contains no butyls, acids, caustic alkaline, petroleum hydrocarbons, phosphates, or amines. A product formulated to naturally degrease and lift soil for complete and safe removal from virtually any hard sur- face. This versatile product contains detergents, pleasant citrus odor and special emulsifiers to make it one of the most sought after cleaners on the market today. Can be used in virtually any application from schools, to institu- tions, to restaurants. A powerful non butyl cleaner/degreaser which removes the toughest grease and grime. Removes grease, ink, crayon, pencil, lipstick, black heel marks, smoke fi lm, greasy food soils, and other tough stains. This amazing cleaner can be used in almost any application on any washable surface. Sparkle plus is a concentrated premium glass & surface cleaner which is formulated to cut through soils and film without streaking or hazing. This is the perfect cleaner for modern surfaces that require specialized cleaning. It will gently remove dust, grease, finger marks and smoke film without leaving behind any hindering residue. A premium glass & surface cleaner which is formulated to cut through soils and film without streaking or hazing. 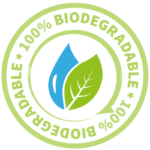 Is environmentally formulated to meet all “green” standards: and will It will gently remove dust, grease, finger marks and smoke film without leaving behind any hindering residue. This ready-to-use non acid formulation is designed to clean, disinfect and deodorize all hard surfaces in a restroom. Contains powerful odor counteractants that leave areas smelling fresh and clean. Safe for use on all surfaces. A concentrated neutral disinfectant cleaner for use in hospitals and nursing homes, schools and colleges, medical and dental offices, office buildings, restaurants and bars. For deep-down cleaning of commercial carpets containing a special blend of detergents that break up oils and suspend tough soils. The combination of these intense cleaners will deliver clean, soft carpets with that like-new look your customers will love. Formulated to meet “green standards”. A high performance, concentrated carpet extraction shampoo that has been designed to remove the toughest stains and soils from all types of carpets. Formulated especially for Truck Mounted Injection Extraction units. Contains a highly concentrated blend of detergents, alkali and brighteners. Pleasantly scented to leave rooms smelling clean. A super concentrated odor counteractant. Use for general deodorizing, as an additive to cleaners and carpet shampoo, space spraying and many sewage treatment applications. Contains odor inhibitors to change the molecular structure of odor causing substances. A premium pot & pan detergent for manual applications. A mild, low pH detergent that is easy on hands. Leaves them silky and smooth. Premium concentrate that may be used on all types of soils and surfaces. This free rinsing formula whisks away with a minimum of water spotting. The high sudsing surfactants produces long lasting, billowing suds that cut through the toughest greases. This product is formulated to breakdown stubborn food residues from silverware, utensils, and dishes using a special blend of enzymes and detergents. A concentrated sanitizer for use in hospitals and nursing homes, schools and colleges, medical and dental office , office buildings, restaurants and bars, federally inspected meat and poultry plants and beverage plants. A heavy duty non caustic, non butyl cleaner for use in high traffic areas, including food processing areas. This highly concentrated cleaner quickly and effectively penetrates and lifts animal fats, proteins, food residues, oil, grease and soap scum. This controlled foaming formula will quickly lift and remove stains while not clogging equipment. Will aid in keeping oils emulsified rather than redepositing in drains, and drain lines. Sanitizer For Dairy, Restaurant, Food Handling and Process Areas, Federally Use Inspected Meat and Poultry Plants, Bar and Institutional Kitchen Use.